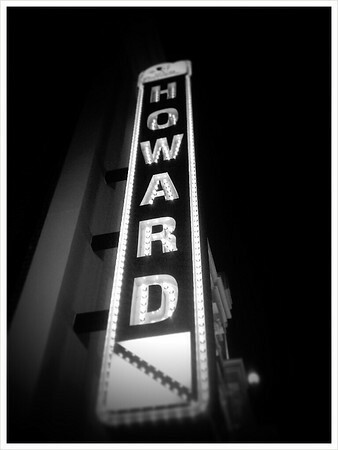 2012.11.18 | Live Show: DC Rocks w/ Kollaboration Alumni Artists! 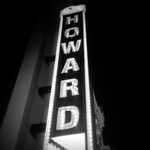 Howard Theatre in Washington, DC was in for a huge treat on Saturday, November 10th. 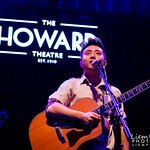 They didn’t just get two huge YouTube sensation singer/songwriters, but they got three down to Earth and extremely talented Kollaboration alumnus all on the same stage in the same night: David Choi, Clara Chung (aka ClaraC), and Amanda Lee! 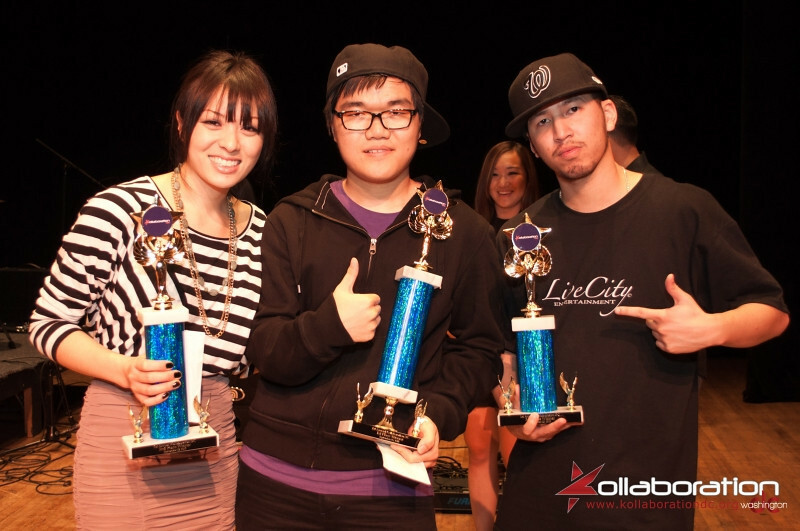 Kollaboration is non-profit organization that started off in Los Angeles known to many as the organizers to bring together Asian and Pacific American talent to compete in an annual talent show in over a dozen cities around North America. 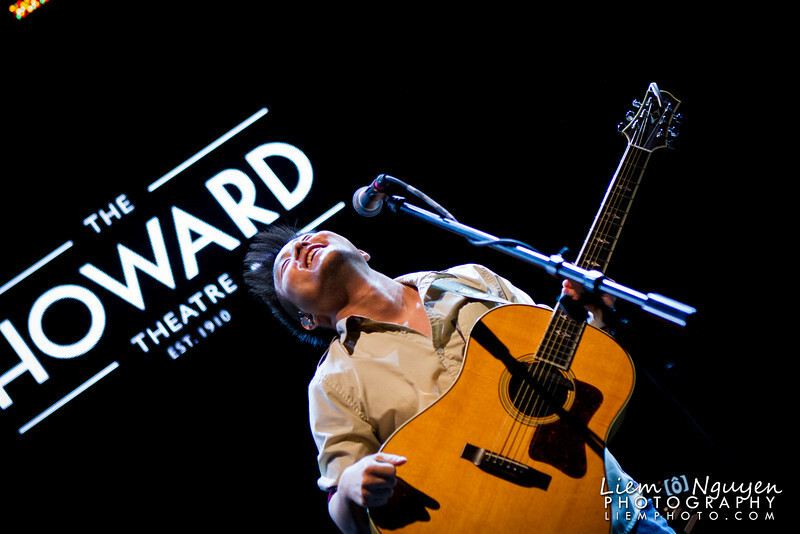 David Choi participated at Kollaboration 9 with Kina Grannis back in 2009 in Los Angeles. Although, he didn’t take home the grand prize, his fame continued on grow and flourish on YouTube where he is known for many of his song covers. He currently has over 915,000 subscribers and over 100 million video views on his YouTube channel. Even though, many people may know him for his covers, he also has released a total of three full length albums. His latest album is called “Forever & Ever" released earlier this year. The original singles he’s well known for are "This Girl”, “By My Side”, and “Missing Piece”. 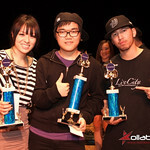 A year later, Clara Chung won and took home the grand prize at Kollaboration 10 in Los Angeles. This talented singer/songwriter adds a very unique jazzy spin to all her covers and unique beats and rhythm to her originals. 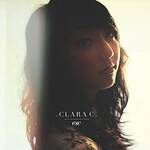 Clara has released a total of two full length albums. 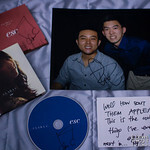 Her latest album is called “Esc" released a couple of months before she set on her 2012 Fall Tour with David. 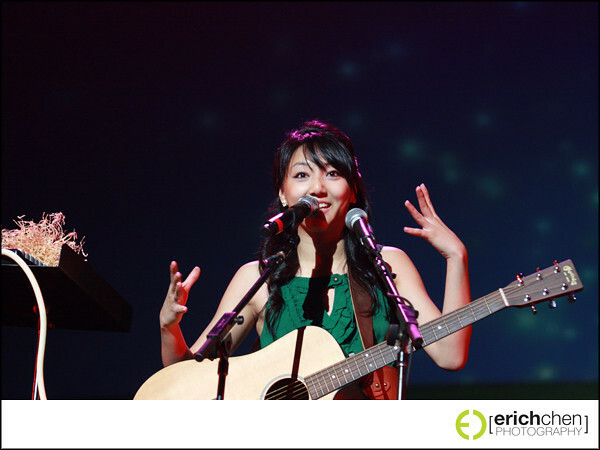 Many may remember Clara for her singles called "Offbeat" where she performed and won at Kollaboration. 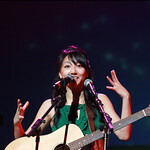 Other original singles she’s well known for are "Heartstrings”, “The Camel Song”, and her latest single “Fish”. Clara currently has over 170,000 subscribers and over 17 million video views on her YouTube channel and continues to grow and expand her fan base by collaborating with many well known YouTube/independent artists such as Jayesslee, Cathy Nguyen, Joseph Vincent, Legaci, and New Heights. Amanda Lee, a local artist here in the heart of the DC/metro area, participated in the first annual Kollaboration in DC back in 2009 where she took home 2nd place against many competitive and talented set of contestants. She has released an EP called “Go" over a year ago containing four special songs that mean a lot to her heart. 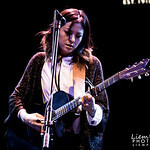 She continues to write new songs and performs them at many of her shows. 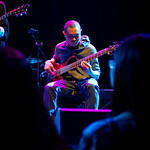 Many times, she is accompanied by her bassist and husband, Posido Vega. Her most well known single is “Letting Go” where she performed at Kollaboration. When you hear her music, you can tell her music is heavily influenced by artists such as Madi Diaz, Priscilla Ahn, Meiko, and The Civil Wars to just name a few. She recently left her daytime job to pursue her dream as a full-time singer/songwriter musician. 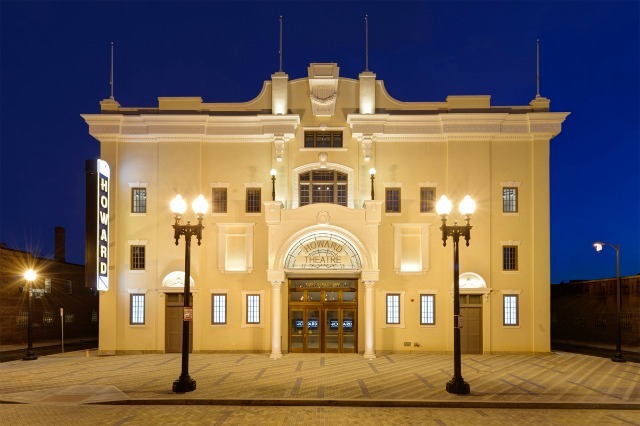 She recently finished her first Northeastern coast tour with singer/songwriter Joy Ike where she traveled to Virginia, Pennsylvania, New York, Rhode Island, and Washington DC. 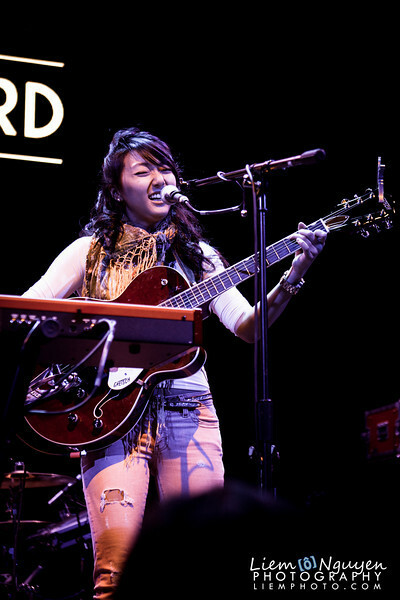 With the help of the Kollaboration DC staff, Amanda was given the opportunity to open for a wider scope audience to expand her exposure and her music. 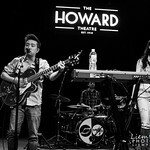 This was a show I’ve been extremely excited about for many months because for the past two years, I patiently waited for the chance and day that Clara would come to perform in the DC/metro area as well as get to meet this talented singer/songwriter.Earlier this year, that dream started to become reality when Clara tag teamed with David Choi to go on a joint tour along the East coast this Fall. At the time, knowing David usually comes to DC I had high hopes that she would make a pit stop. Once dates and stops were announced, I went out and bought tickets right away. I was so quick that I failed to realize that they were also selling VIP tickets which is required to see the singer/songwriters at the meet and greet after the show. Just weeks before the show, I realized that I knew someone that was close with Clara. I asked if he was able to get me in early in order for me to have a good view of the show. With that said, I was able to get in touch with Jon, Clara’s manager, and make special arrangements to be able to get in early. Special shout out to Digbyholic/Claravoyance Albert for initially make things happen! 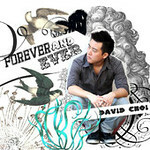 This is third time for me to see David Choi perform live. The first two shows I’ve seen him perform was at Jammin Java in Virginia. The first show was over a year ago when he went on tour for his second album, “By My Side" while his second show I saw him was earlier this year in March where he toured to promote his latest album, "Forever and Ever”. You can check out his first show that I’ve attended by clicking here and his second show by clicking here. Both shows were sold out shows, so definitely there is a demand for him to return back to DC for future shows. Third time’s a charm, I suppose, as it was a bonus being able to see David again along side with Clara as her touring partner. There are not many singer/songwriters based outside of the DC/metro area where I can say I’ve seen more than once in the same year such as Kina Grannis, Rachel Platten, Dia Frampon along side with the Meg & Dia band, and Joy Ike. Now, David Choi is added to that short list. 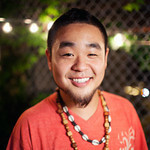 Initially, the winner of this year’s Kollaboration DC talent show, George Yamazawa, was going to open for David and Clara, but he wasn’t able to make it. This opened up a slot for someone to open for David and Clara. 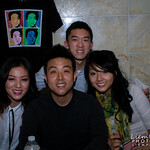 With Kollaboration DC’s help my friend Amanda Lee was given a huge opportunity to open for these two incredible YouTube sensations. I was one of the few people who she told exclusively before she went public with the news of the opening act. Knowing that she left her daytime job recently, this opening gig could be the beginning of getting her music and her name more exposure to a bigger and wider audience. Amanda is also one of the local artists based in the DC/metro area that I support greatly alongside with Ivy Rose, Phil Lee (aka ‘Phil Good’), and Phil’s old band Rooftop Pursuit. I was extremely stoked, happy, and excited to see her on the same stage with David and Clara. Her music just fits perfectly with David and Clara. It was just just three years ago that I met Amanda through mutual friends. Ever since, I’ve been a huge supporter which grew into a mutual friendship that I did not expect to happen. I hope this will be the beginning of her big break into her music career. On the day of the show, I was already having a fully packed Saturday as I was also attending a friend’s baby daughter’s second year old birthday party where I was also helping set up and take pictures. I left the party around 4:30 pm to make my commute from the infamously congested Interstate 66 from Fairfax to Washington, DC. Traffic was far worse than expected and arrived at the venue to park at the private parking lot just a block away around 5:30 pm. When I reached the venue, I already saw a little more than a dozen people already in line. While waiting outside, I made a call to Clara’s manager, but I got his voice mail. After staring at my phone for about 5-10 minutes, I looked up and into the theater front doors and what do I see? 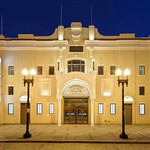 I see Posido Vega, Amanda’s husband, waving vigorously at me, so I waved back and started to walk towards the doors. I have no idea how he was able to spot me outside with over two dozen fans already in line, and it was already getting dark with the sun setting. Posido and I both start approach the door, and we both greeted each other. I, then, asked him if he knew where Clara’s manager was since he was my ticket in before doors opened. He said he didn’t know, but that he would go find him for me. While I waited for Posido to return, I see Amanda setting up her merchandise stand, so I went by and said hi to her. Several minutes later, Posido comes back and told me that I was on the guest list and that I had the green light to come in. Posido walked me in and showed me around. He showed me the stage area, then we headed back stage where I saw some familiar faces such as Christian (the Executive Director of Kollaboration DC), David Choi with his fans who bought the Fan Experience tickets. I finally run into Clara’s manager and introduce myself. He and I talked for a bit and not too long as it was pretty busy right before the show. He said I was free to take video footage as well as take pictures and offered me the buffet that were given to the band and people backstage. After getting food from backstage, I went back out to get the best seat/view in the house, so I could get good video footage and pictures.As I was eating the light dinner, the floor manager of the venue approaches me and told me that I can’t bring food from backstage to the front and in order to seat at a table, I had to spend at least a $10 menu on food. 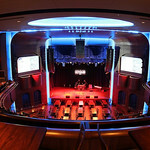 Howard Theatre is definitely a very nice venue. It has a very nice stage with great lighting and it looks very classy, but definitely didn’t like the way they tried to sell and allow seating/table arrangements and how the venue is set up for viewing where there’s standing area then not far back are tabled seating. 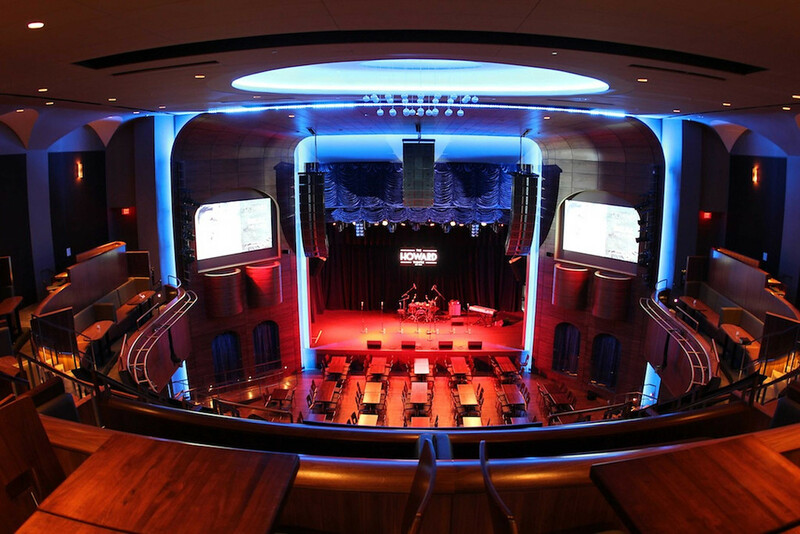 I’m not sure how bad those tabled seating are because I would assume the standing area would block areas of the stage where people are sitting down. I made my way backstage again to finish my food and as I go downstairs from the stairwell, I run into Clara, but from the look of it she did not look like her cheery self, so I just walked pass on by and did not disturb her. I later find out during the show that she caught a bad flu and that’s the reason why she wasn’t herself backstage. I went into the same room where David was having dinner with the fan experience ticket holders. As everyone in the room finished eating and started to do a exclusive meet and greet and take pictures with David, I was chowing down on my dinner. Once I made my way back to the front of the stage area. I decided to not sit at the table, but pick a good area to stand, so I could take better pictures and video closer up front. The show started off shortly after 7 pm, an hour earlier than originally planned. Amanda Lee starts and opens the show with her husband/bassist Posido Vega to a whole new crowd of fans who may or may not have heard her music before. She comes out with great confidence and sells herself the best way she knows how by singing her heart out and showing the whole venue why they should start supporting her. As I was one of the people watching the show, I could see she grabbed the attention of many in the room. People were dancing and swaying to her music; it was rather thrilling to see how Amanda’s music having impact to this crowd. It was such a perfect fit since the styles of all these artists are similar in many ways as well as they have their differences. 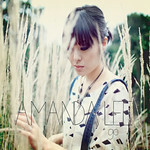 Amanda was given the opportunity to have short opening act where she performs a total of four songs where one is a cover rendition by Oh Land. Check out below the video footage I was able to take from Amanda’s set. After Amanda finishes her set, David Choi comes out half an hour later with his band to jam with the crowd. I was a bit surprised that he was up next as I assumed that Clara would come out first. I can only assume they may have switched places to give Clara more time to recover from her sickness ordeal before the show. 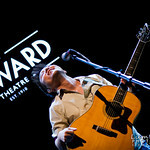 David, yet again, was as entertaining on stage this time as he was last time I saw him at Jammin Java. David performed a total of 10 songs where one was a cover by Louis Armstrong and four songs were songs where he had music video. His set lasted for about an hour. At the end of his set, he handed his set-list to a random fan in the crowd. If you would like to see the video footage I captured from from his set, click on the links below. To close the show, Clara Chung comes out a little after 9 pm with the same band that played with David and performs 9 songs which lasted for a bit over three quarters of an hour. She ends her set with an encore performance with David singing to “Darling It’s You” which they both co-wrote. She was really fun to see perform on stage. She’s very energetic, bubbly, and straightforward on stage. She mentioned that she got the flu on the day of the show in DC and that she spent most of her time before the show throwing up and that her voice may not be perfect. Sick or not sick, she still went on and performed that night. Her voice was still great, and she was very interactive with her fans even though she was sick. If she never mentioned she was sick, no one would have even known. She was still having a lot of fun on stage, and having the crowd cheer her on throughout her set just fueled her to continue on and have her adrenaline run on overdrive. It was my first time seeing Clara perform live, so sick or not sick, I felt very fortunate and honored she decided to still go on with the show. I was definitely satisfied and enjoyed seeing Clara perform her set. To this day since the show, I’m still constantly playing her music in the car, at work, and at home. To see Clara rock her socks and raise the roof on stage, check out the video footage captured at the venue below, and to see all the video footage from the show as a playlist, you can click on the embedded video at the end of the blog. After the show and after Clara and David finished their encore performance, I packed up my camera gear and got in line to meet all the artists. While in line, my friends, Tim, Jane, Posido walked passed me and saw me. They asked me why I was in line and that I should join them to see Amanda and the other artists since we all know Amanda personally. I followed them and made my way up to the front of the line and say hi to Amanda. I see Clara’s manager and told him thanks for everything and gave him my photography business card, so he can later access the pictures and videos. I told him I’d like to quickly meet David and Clara, so he let get in line. When it was my turn in line, I had David sign the picture of me and him from when I saw him last time in March. I, then, let Clara know that I knew someone she knows very well, Albert, and she was so surprised. I said I had someone get her autograph personalized to me and waited two years for a response to the autograph. Clara took that autograph, and she signed the back with a nice response. I also had her sign her album. After everything I wanted signed was signed, I asked for a picture with all the artists, and it was one of the best pictures I could ask for. Three very talented Kollaboration alumnus all in one picture. It was such a perfect night, and I could not have asked for anything else for that night. It was one of the best shows I’ve been to where I knew so many people behind the scenes as well as as upfront. Special thank you shout outs to Amanda, Posido, Albert, Jon, Christian, and Tim for making my experience to this show so great! Thanks so much to David and Clara for coming to DC to perform and making one of my dreams come true to meet Clara and see her perform live for the very first time. Props to Clara for going on with the show even with the terrible flu she had! Many pictures were taken from the entire show. Please do check them out and share them out with friends by clicking on the collage or links below. If you’re interested to know more about Clara Chung, David Choi, Amanda Lee, and Posido and would like hear more music by them, please do check out their website and social network pages below. As always, go out and support them by going to their shows and buying their music. 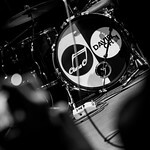 If you’d like to read up on more shows and see more pictures and videos I’ve taken at live shows, please be sure to visit http://shows.LiemPhoto.com.